A new year brings optimism … and resolutions. Maybe your plan is to snag a new job, land a promotion or find the love of your life. You’re looking pretty good already, but sprucing up your wardrobe in 2016 can give you the “wow factor” to close the deal. Here are five ways to do it. Build from the foundation up. 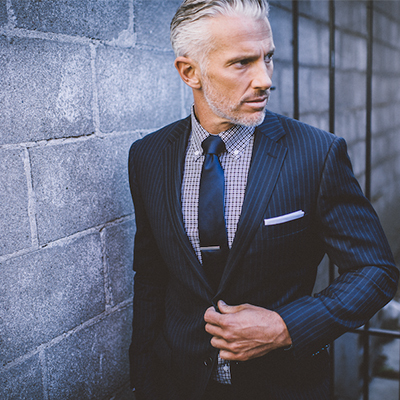 If your wardrobe includes a couple of good, classic suits — a made-to-measure charcoal gray and a navy pinstripe — you’re on the right track. Make sure you also have a pair or two of stylish jeans that fit you just right. Customize your look with the right shirt. Sure, you can buy a 15/33 blue cotton-polyester blend shirt off the rack. To really spruce up your wardrobe, consider made-to-measure shirts. 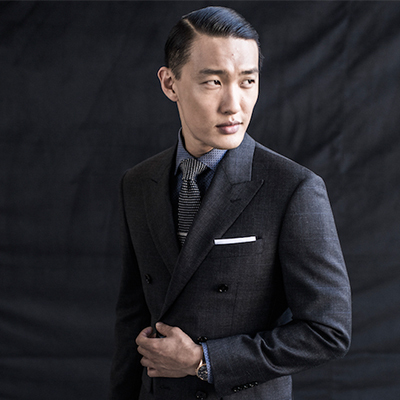 Choose several in crisp fabrics and different colors that are made to fit the nuances of your body. How about a Red and Blue Dobby Patterned Shirt to wear with jeans or a Navy Gingham Wrinkle Free Shirt to show off your charcoal gray suit? Tie one on. So you have two days of business meetings on the West Coast. You’re taking one suit. Two great shirts plus two ties will totally freshen your look. Remember that charcoal suit and navy pinstripe shirt? Accent it with a Brick Red Foulard Pattern Tie. Bring along a crisp white shirt and a Silver Circle Jacquard Tie, and you are dressed to impress. Add a few details. When it comes to jewelry, less is definitely more. A good watch and a new tie clip or cufflinks are extra details that show off your personality and pull your look together. Pay attention. What you wear says a lot about you. Invest in the best basic wardrobe pieces you can afford, and by all means make sure they fit you well. Pay attention to what you have already, and then add a few extras — a couple of made-to-measure shirts in trendy colors, a new tie or two and a piece of understated jewelry — for a new look for the new year. 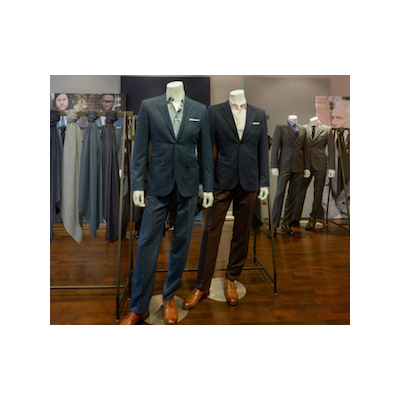 Visit Indochino’s Showroom at 85 Newbury Street, Boston, and get the essentials you need to spruce up your wardrobe for 2016.